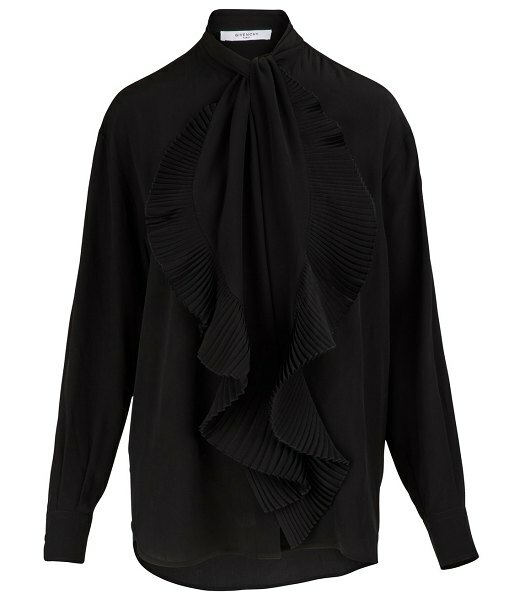 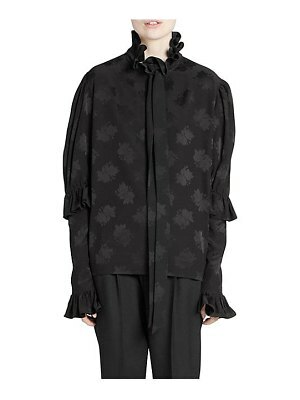 The Givenchy collection takes refinement to the next level with strong pieces like this blouse with tie collar. 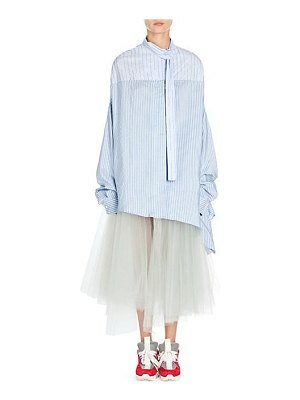 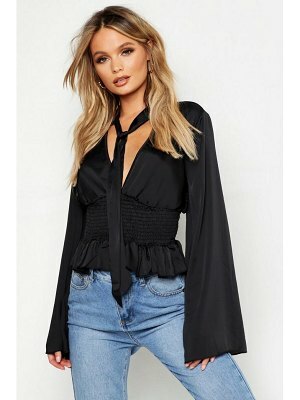 This long blouse is made from precious, blue silk, evoking faraway places. 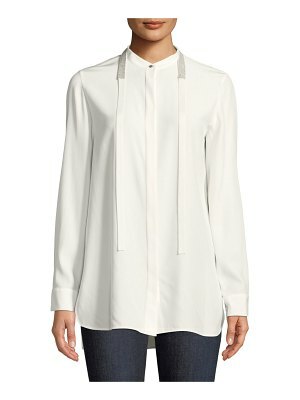 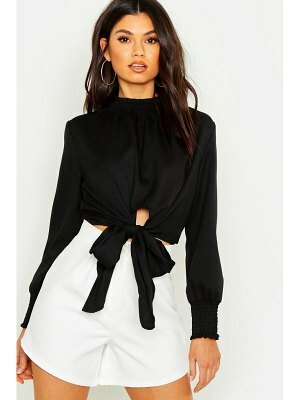 Deeply sophisticated, the tie collar is asymmetrical with a smooth side and a textured side.